This entry was posted in patchwork, stash, wip and tagged block, linking up. Your blog is beautiful and your quilt top is amazing. I love the bright and cheerful colors! I found you thanks to the small blog meet and I look forward to scrolling through your posts. So nice to meet you. Hey Karen, thanks for stopping. Love the fabric colors on the Modern Owl Quilt. What a fun quilt! I like the way you did the zig zags! I’ve never seen them done that way! Hi Becca, thanks for your nice comment. Looking forward to see your new projects! I found you! Thanks for leaving such a nice comment on my blog! 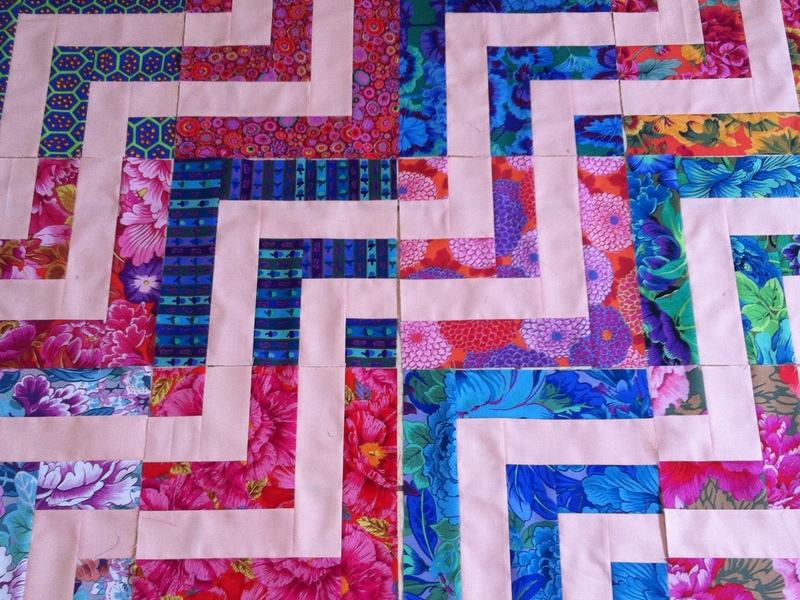 I love your cheerfully coloured quilt: with Kaffe’s fabrics it’s always a success! I didn’t know that I am a noreplyblogger. I checked it on the web and it has something to do with Blogger and WordPress – they are not compatible and there can be a problems when leaving comments. Well life is always full of surprises!